When during the Vietnam War in the 1970s an uninhabited island was discovered in the Pacific, a group of researchers are preparing to explore the island. 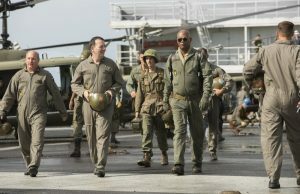 The group initially ends up in paradise, but soon they find out they are not the only ones with an important mission. 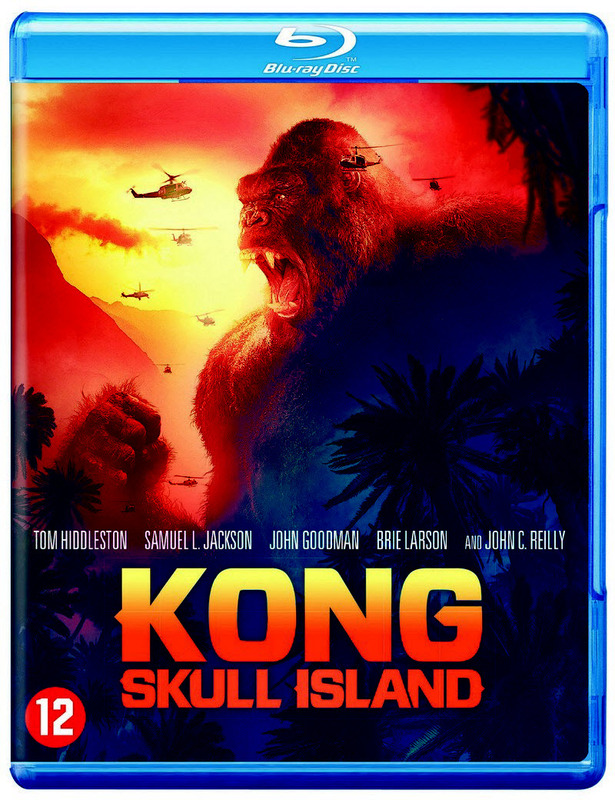 Closed to the outside world, the team enters the domain of the mighty Kong, which unleashes the ultimate battle between man and nature. 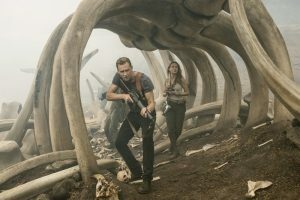 Now that their journey of discovery has proved to be a survival mission, they must fight to escape the beautiful island where humanity does not belong. 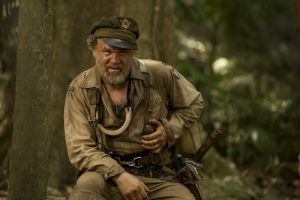 Kong: Skull Island has a special star cast with Tom Hiddleston (The Night Manager, Thor, Avengers, The Hollow Crown), Samuel L. Jackson (Pulp Fiction, Tarzan, The Hateful Eight, Avengers, Django), Oscar® Winner Brie Larson (Room, Short Term 12, The Spectacular Now, 21 Jump Street), John Goodman (Roseanne, 10 Cloverfield Lane, Flight, Monsters Inc, Argo, Blues Brothers 2000, The Big Lebowski) and John C. Reilly (Wreck it Ralph , Chicago). 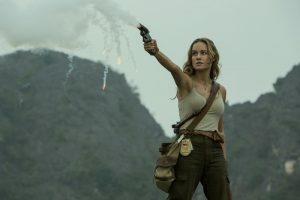 In order to bring the film as full as possible to the ambiance of the mysterious yet fictional Skull Island, director Jordan Vogt-Roberts directed the film for six months on three different continents, namely Oahu on Hawaii, the Gold Coast of Australia and Vietnam. Some of the locations have never been featured in movies before. The truly fun thing with extra footage added to these new discs is the features on these locations. They feel too short even, to truly capture the amazing landscapes and that really is the only negative remark you will get from me. If someone decides to up the ante with these features, they will get a high 5 from me! 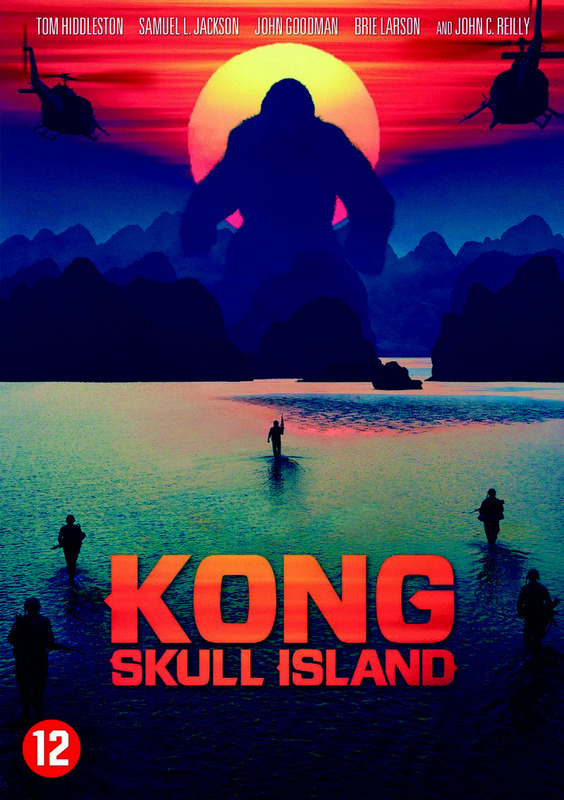 Especially a movie like KONG… it deserves more documentaries. The really challenging part of KONG is making sure this a new reality, a new myth is created. Surely it is based upon the mythical movies of old which is not bad at all! Plenty of reasons to take note of the fact that the Old Myth is still going strong when even publisher Starwarp Concepts made the effort to publish the “old” book for a new printing and with new art added. Shameless plug!! The old concept of the 1933 movie or the “Beauty and the Beast” romance by Peter Jackson… they all have that special feel about it. We see this huge gorilla, this prehistoric beast battling other prehistoric beasts and we see the interaction with human and ‘civilization’. In KONG we can see that humans are the real threat, at least. 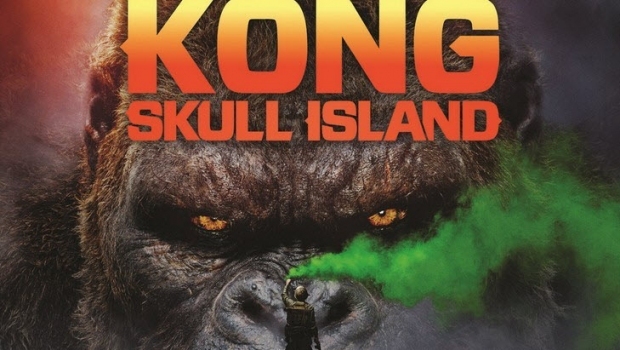 And KONG… is much more then a big gorilla. An upright position, more human features in his face… this is a new 30 foot creature. This is a new entity even, making sure the real evil will stay underground. 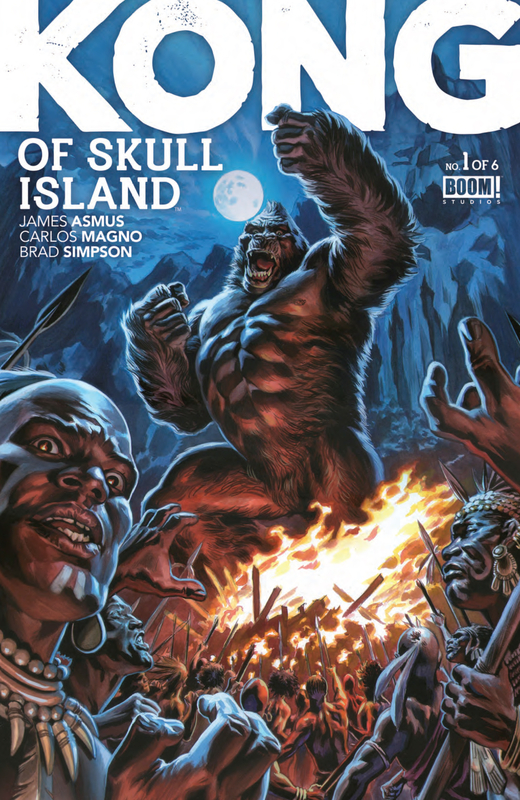 Adding to the mythos of this KONG-movie you can also add the comic books (prequels and whatnot’s) that Boom Studios (review here!) and Legendary Comics (review here!) 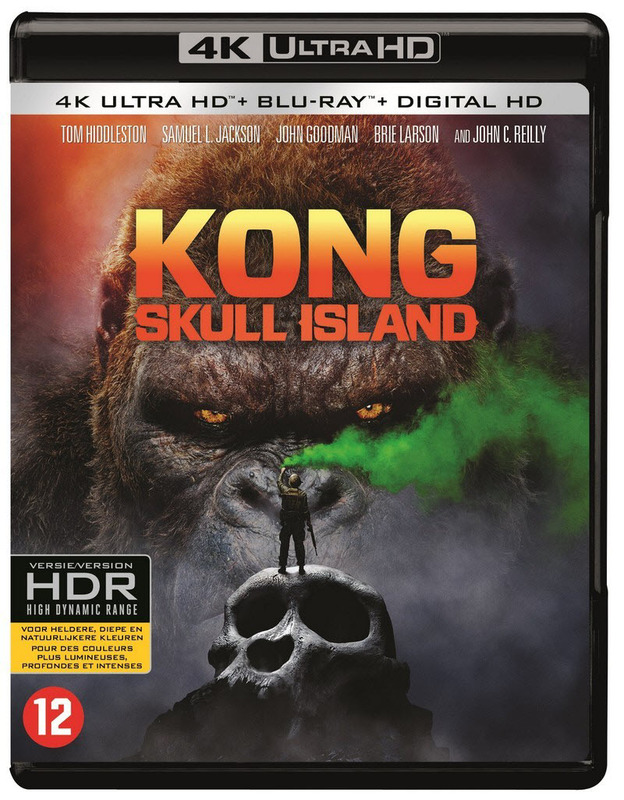 because only the KONG-movie will not do anymore! We need more and more and more of this! And although KONG is the real treat to this movie, let us not forget the actors.O come on… I do not want to talk about how good or impressive the star-cast is doing. They áre of course! 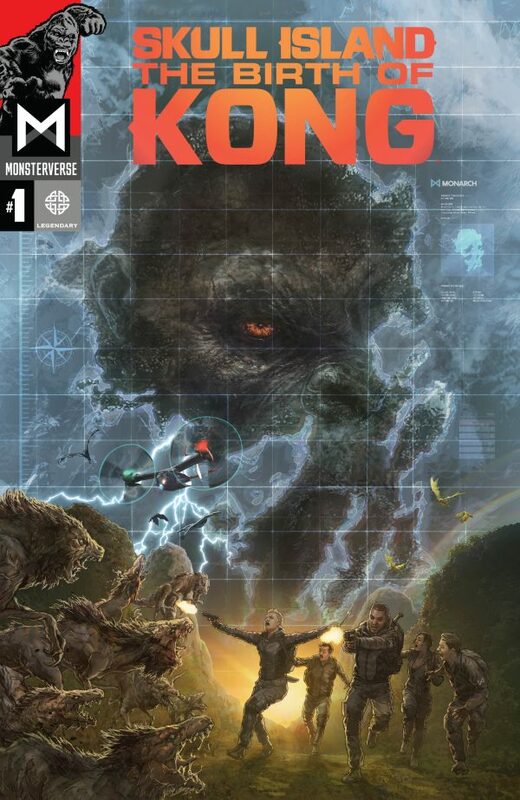 But this is KONG KONG KONG time!! The special effects making sure this beast is hairy or wet or burning or moving… it is just stunning. It feels soooo real! 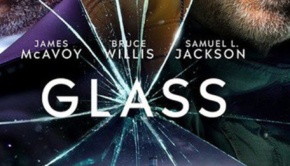 Go get it, go see it… we need more of it! 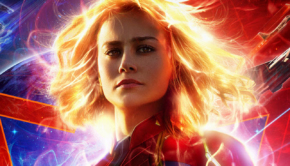 And with the Monarch Files in place, as part of the organization of humans making sure mythical creatures and events are investigated, I am sure a new Movie Universe is just around the corner! 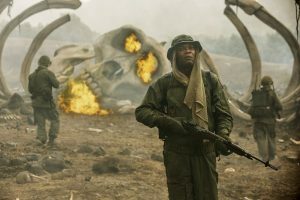 Kong: Skull Island is directed by Jordan Vogt-Roberts and produced by Thomas Tull, Mary Parent, Jon Jashni and Alex Garcia, with Eric McLeod and Edward Cheng as executive producers.